Making a donation is easy. 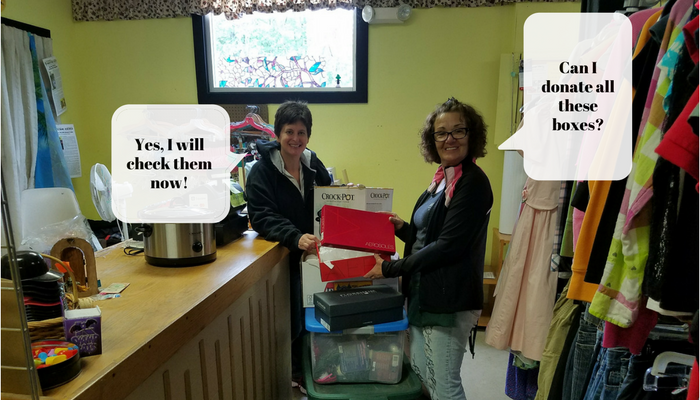 If you have items you wish to donate to More Than a Thrift Store just pack them in a box or bag and bring them to the checkout counter right in the store. We will take a quick peruse and let you know if there is anything we think we cannot sell. You can bring one item or many boxes. If you have many boxes you can park near the back door, which is much closer to the check-out counter than the front door, and bring your donations right in! We also accept furniture. Just bring your furniture donation to the store and we will help you bring it into the building. We do not accept donations on Tuesdays or Wednesdays. 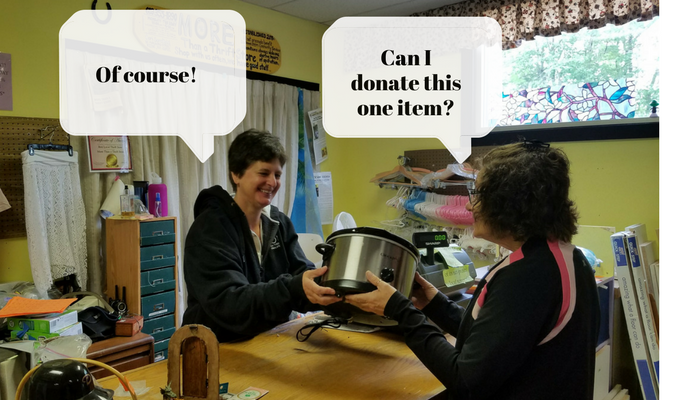 When you donate to More Than a Thrift Store you may be able to receive a tax break.